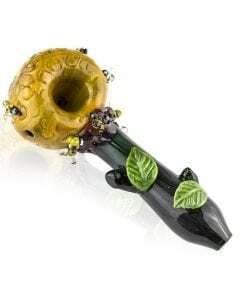 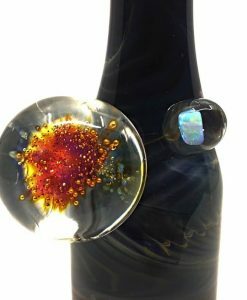 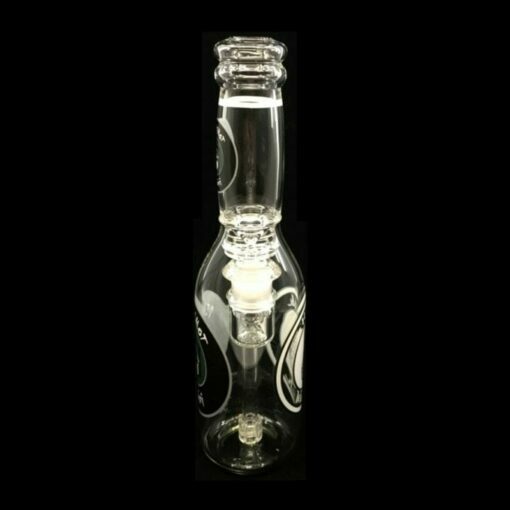 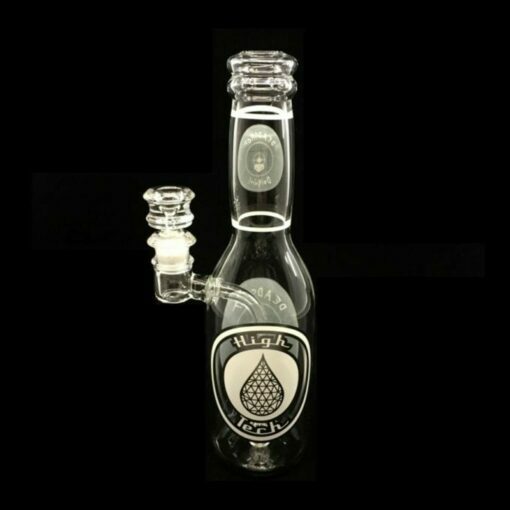 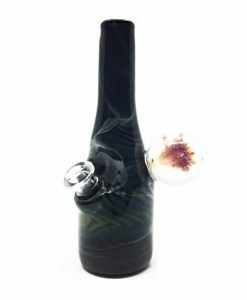 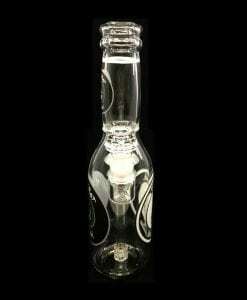 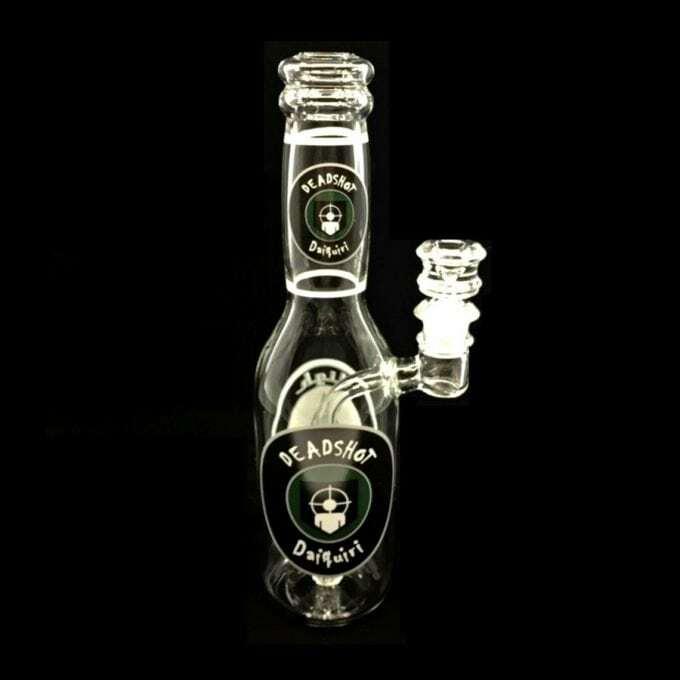 This Water Pipe features a Perc A Cola Dead Shot design. 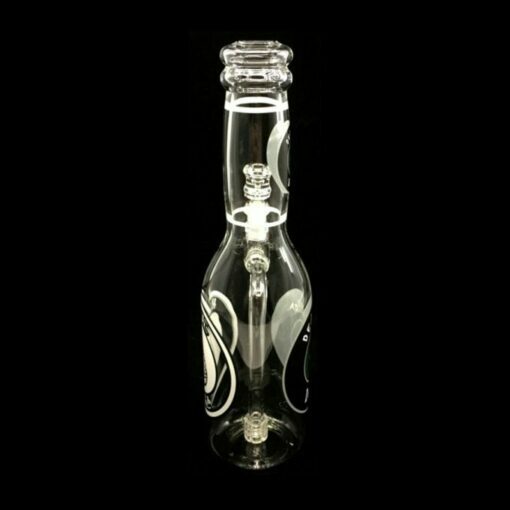 This High Tech Glass Works Dead Shot Daiquiri Rig features a Perk A Cola theme. 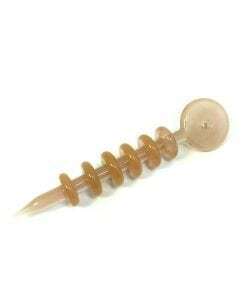 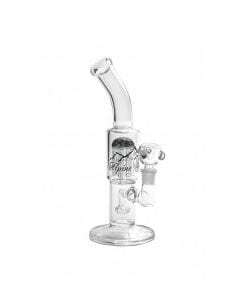 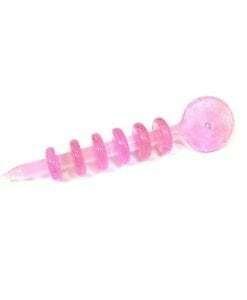 The banger hanger design leads into a fixed downstem and slitted percolator.